Deadline is reporting that Greg Berlanti (The Flash, Arrow) is officially working on bringing a Batwoman TV series to The CW. Caroline Dries (Smallville, The Vampire Diaries) is writing the potential pilot based on the DC character. Arrow’s Stephen Amell announced back in May at the CW upfront presentation that Batwoman would be introduced to The CW’s DCU in this fall’s crossover event. 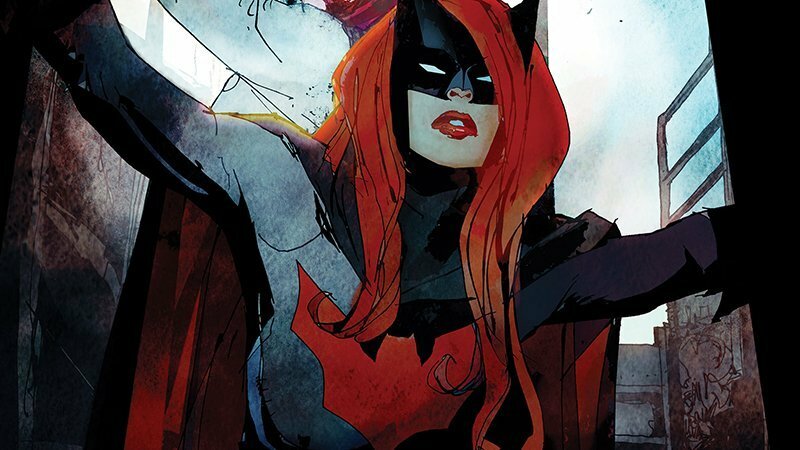 Batwoman, aka Kate Kane, would be the first gay lead character of a live-action superhero show. In Batwoman, armed with a passion for social justice and a flair for speaking her mind, Kate Kane soars onto the streets of Gotham as Batwoman, an out lesbian and highly trained street fighter primed to snuff out the failing city’s criminal resurgence. But don’t call her a hero yet. In a city desperate for a savior, Kate must overcome her own demons before embracing the call to be Gotham’s symbol of hope. The character was first introduced in Detective Comics in 1956 and was reimagined for DC Comics’ New 52 as a Jewish lesbian, the first lesbian superhero for a title DC character. Kane is a wealthy heiress who becomes inspired by Batman and chooses to also put her wealth and resources towards a campaign to fight crime as a masked vigilante in her home of Gotham City. Arrow and The Flash have both teased that Gotham City did exist in the Arrow-verse, such as when Amell’s Oliver Queen name-dropped Bruce Wayne during this season of Arrow. The next CW crossover event is set to air in December 2018. If the pilot is picked up, the series could air in 2019.